Manchester United could be sending Radamel Falcao back to his parent club AS Moncao as the Colombian fails to impress manager Louis van Gaal. Manchester United could be sending Radamel Falcao back to his parent club AS Moncao as the Colombian has failed to impress manager Louis van Gaal. Le 10 Sport reported that French side Moncao are looking to offload him on permanent basis. The Colombian striker who missed the World Cup in the summer is yet to revive his golden days since his return from injury. 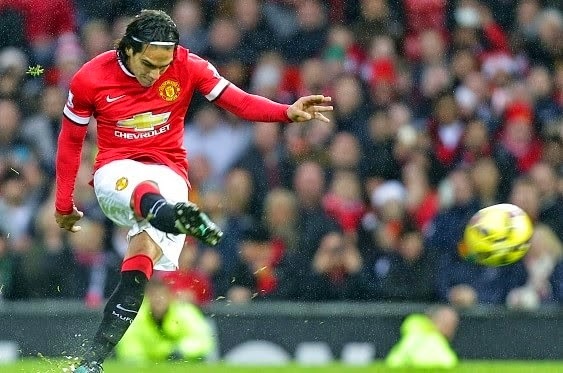 Manchester United owners would definitely want to send Falcao back as he is earning £260,000-a-week. However, Falcao has recently said that he is enjoying his life in England and wants to move permanently but manager Louis van Gaal might not keen to take him. The 28-year-old has scored only two goals in ten Premier League games for the Red Devils. As Manchester United are now back on track van Gaal will surely be eyeing to keep those players who are in the part of it. Falcao loan spell will end at the end of the season, he still got enough time to impress the Dutch boss to make his deal permanent. The former Porto striker would not get enough chances as Robin van Persie, Wayne Rooney and James Wilson are already competing for that role.